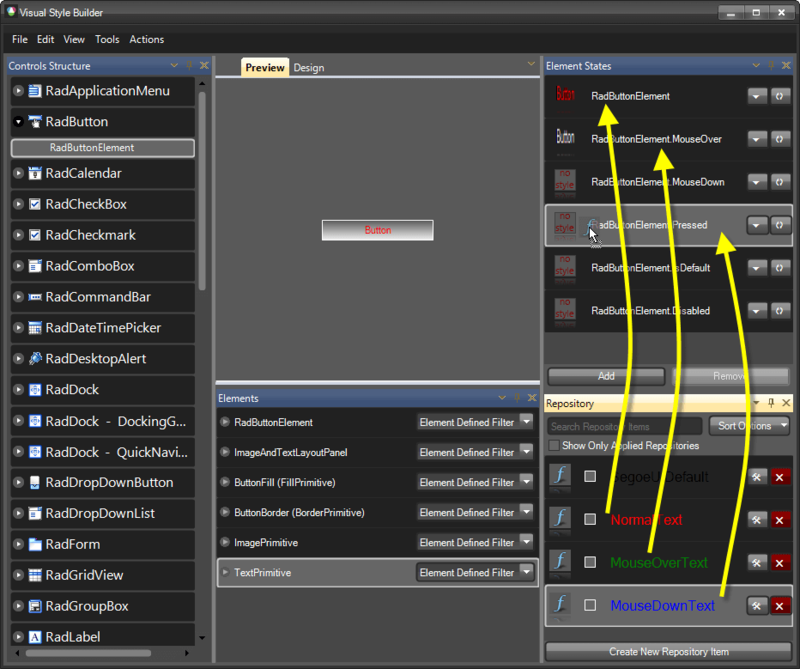 Select RadButton from the Controls Structure window. 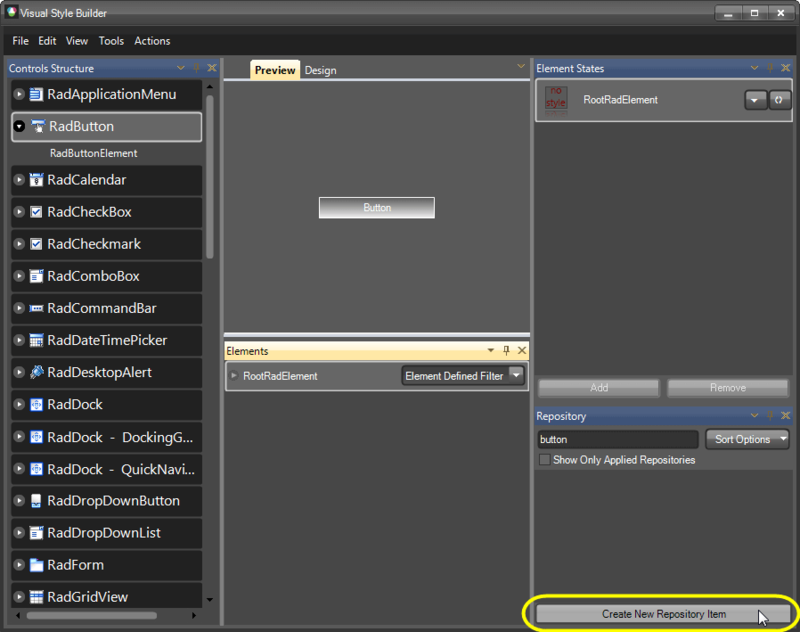 Select RootRadElement from the Elements window. 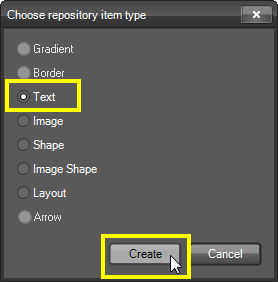 Press the Create New Repository Item button to create a new Text repository item. Select Text and press the Create to create the new repository. Set the Font property only. 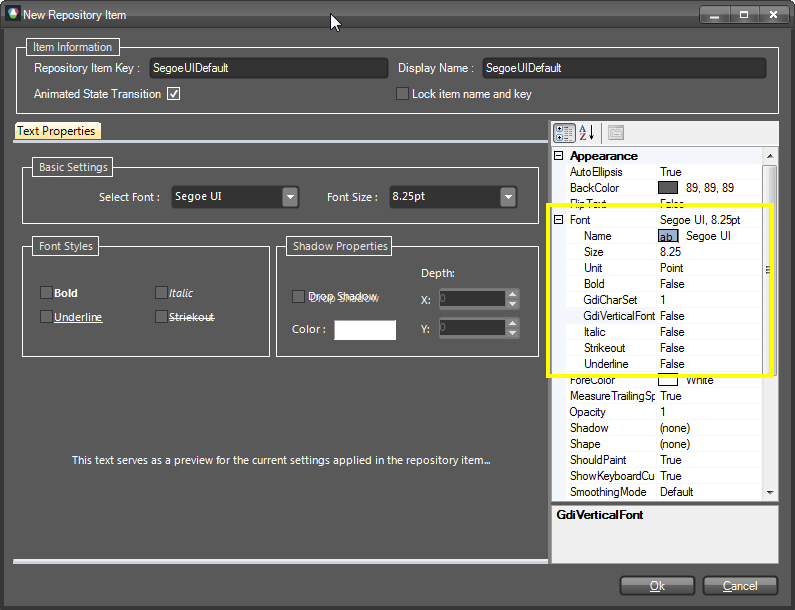 Set the name of the Text repository item SegoeUIDefault and save it. Apply the newly created Text repository item to the RootRadElement. Next, we should create Text repository items defining only the ForeColor. These items will be called NormalText, MouseOverText and MouseDownText. 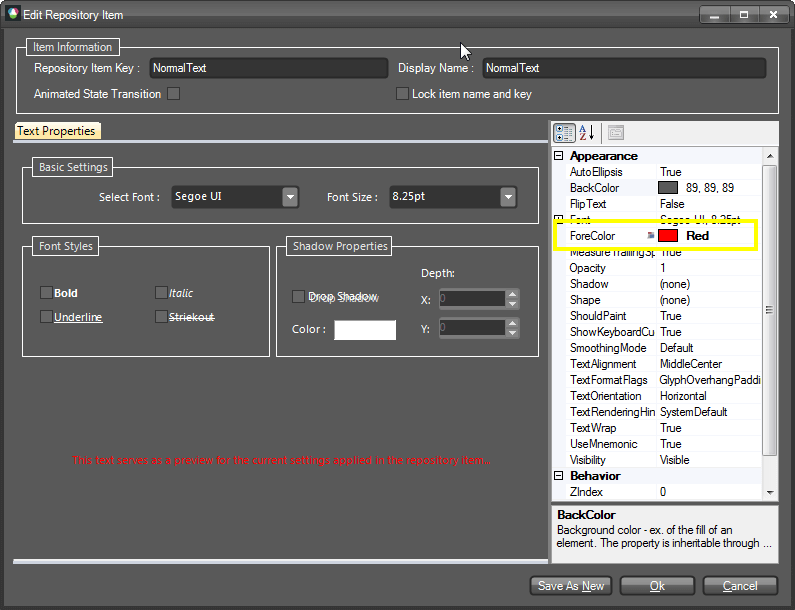 This will allow us to have different text colors for the different states. Select RadButton >> RadButtonElement from the Controls Structure window. 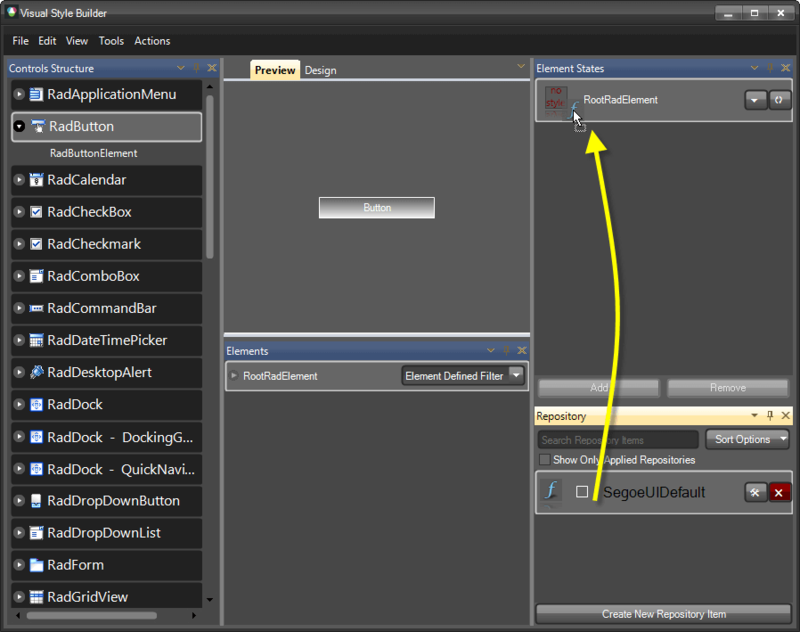 Select TextPrimitive from the Elements window. As a result you get a RadButton with customized text. But what is the benefit of creating a separate Text repository item that sets only the Font? And why we should drop this Text item to RootRadElement? A separate repository item which sets only the Font should be created, because if we decide to change the font of a TextPrimitive, we should do it only in one repository items (but not in three, for example NormalText, MouseOverText and MouseDownText). In the cases where a control contains more than one TextPrimitive, setting a repository item at RootRadElement level will define to Font for all TextPrimitives, since the Font property is an ambient property.